Pulling in the right kind of peeps who are looking for your business products or services is critical, of course, but it can also be hard to get right at times. (ya think, right?) This is because we are often focused on the idea of making sure that we cater to everyone. As if!? However, we must focus on our target market and keep in mind that not everyone needs our services. I know, right? Some can do it themselves, some don’t understand what we offer, some may not see the value, some think they don’t need it, some may not understand the value of their time and money. How do you know that your marketing is working? The point here is no matter what you do or sell, and who you are selling to, you need to ensure that your marketing efforts aren’t lost. How do you know if what you are doing is working? How do you know which blogs/content is providing the best value? Utilize tools to help you with your marketing efforts and tools that help to determine if what you are doing is working. One of these is Google Analytics, it’s FREE, you can install it on your website pretty easily… and since it’s Google, you keep Google happy! Further, there is so much more that it offers and much more uses for you to utilize it for such as Google Search Console, previously Google Webmaster Tools. This is a tool that is all about helping you understand who is coming to your website, what they’re looking at, and how long they stay on certain pages or which blogs brought them to you. It is a code that is placed within the header code of your website and records all of the data of visitors on your website. When you get your hands on this kind of information, it is going to empower you in properly addressing and reaching out to your audience and helping you strengthen your search engine optimization. Now, keep in mind, that big data can be a curse and yet so helpful. So, the key here is that you need to determine what it is that you want to accomplish and what you will do with the information when you obtain it. If you haven’t taken a look at your Google Analytics, just dive in… look around, and see what is available to you with data on your website, then make a point to review that information on a regular basis and utilize it for whatever you desire. Your Google Analytics can provide information to help you determine your target market if you hadn’t figured it out yet. It’ll help build a social profile of your viewers so that you can create content that is better connected to what they’re looking for. The trick is to have it resonate with all those who come to your page, and knowing who’s coming to your page in the first place is essential in doing this the correct way. These sorts of observations will help you to make sure that you are always prepared to take on whoever comes to your website and that will turn you into a better success. and so much more.. and this is FREE? MIND BLOWN! Why don’t you have it on your website? 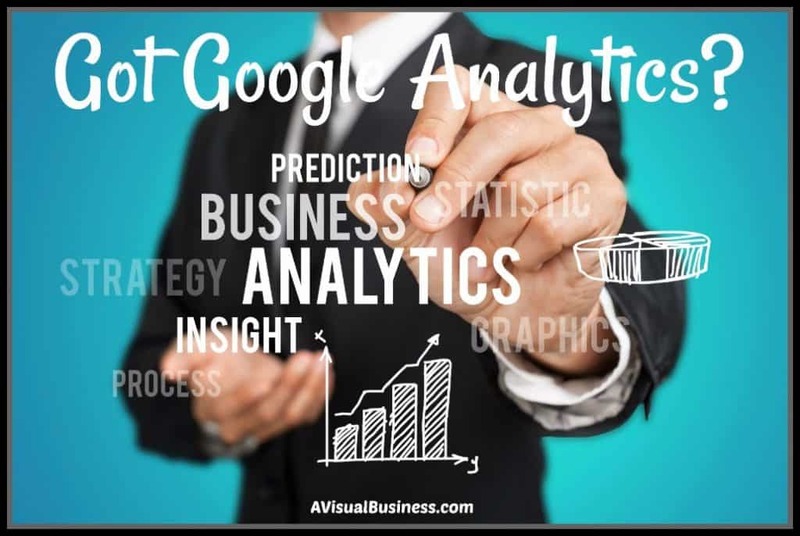 Got Google Analytics? Do you use it for your business website? If not, you are missing out! 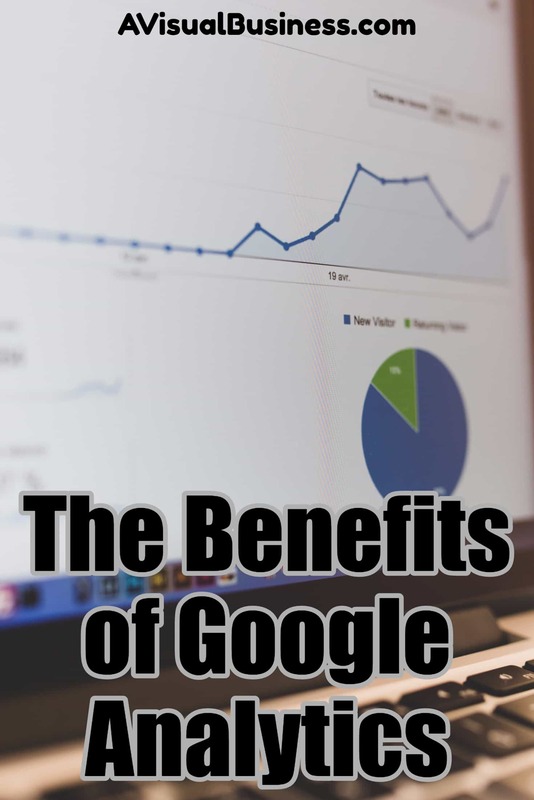 It’s important to remember that having a comfortable, concise, professional and effective website is critical for good marketing, and if you want to make sure that you are using your website effectively, Google Analytics is the best option to consider… because again, it’s Free, it has so much value and heck.. it’s Google, keep Google HAPPY! So, let me know in the comments below….. do YOU…. Got Google Analytics set up on your website? If you don’t have it set up or don’t use it.. WHY NOT? If you need to get it set up, I got you. Contact me and I can set it up for you with my hourly consult. We can also discuss the variables on Google Analytics and what to look at. Yes, I do have Google Analytics on my website and yes, I do have it set up. However, I am not optimizing how I use it, based on all the info in your post, Kristen. It sounds like there is a lot more I could learn from it if I analyzed the data more often. I do find the traffic and demographic section interesting, For some unexplained reason, my demographics always show up as males who are rather young. Because some of the stats don’t seem to make sense, I guess I haven’t taken it too seriously. Thanks for confirming why I would be wise to utilize Google Analytics to the fullest. I have Google Analytics installed, Kristen, but I know I’m not really making the most of it. I’m not even sure I know how to access all the information you mentioned but I realise it’s something I’ll have to investigate further. Thank you for the helpful advice. Maybe I need to do a navigation video post for this reason Tami! Good point! I’m certainly not a tech geek or a numbers person, nonetheless, I really see the value in this. As you know, I am running a launch right now for my new online community, AtoZ Healing Space. I just learned how to take a look at a ‘leader board’ of top referrers. It is such valuable information, and Google Analytics is in the same category, or perhaps even more so! Helpful post! That will help you to determine who is bringing you the most traffic and value Reba, exactly! I have Google Analytics and look at it every once in a while. I guess I better move this up on my to-do list and pay more attention. Thanks for the kick in the rear. Honestly, Kristen, I do not know how anyone with a website survives without Google Analytics. It is such a life saver with the details it provides. I do check mind on a weekly basis to monitor whats happening on my site. Also, the data it provides help in optimizing my site for better conversion. Love that you provided an overview of what Google Analytics can do! I do use it, although I’m not using it to its full extent. What I’d like to do is use it to track conversions and to do more tracking customer journeys. But my eye glaze over when I begin to really deep dive into setting up some of the tracking features. 😉 Funny that we both focused on metrics & analysis in our blogs last week! I said it in my blog & I’ll say it again here since it applies: what’s not inspected isn’t respected. Gotta review your metrics to improve your business! This is the part that is SO important. The difference between seeing what you’re work is producing and understanding the results. Thanks. Oh I’ve got GA alright. I remember last year, there was a problem with it and it didn’t log my data for at least a month. After that, I’ve become a bit obsessed with my analytics. I do have Google Analytics on my site and always make sure my clients do too. I reference it, but know that what I use it for is only a drop in the bucket of what it could be doing for me! It’s on my list to hire you to help me make the most of it one day soon! I’m glad you do Mindy, always helpful to know WHERE your traffic is coming from. There are a lot of pieces we all could be utilizing in GA!